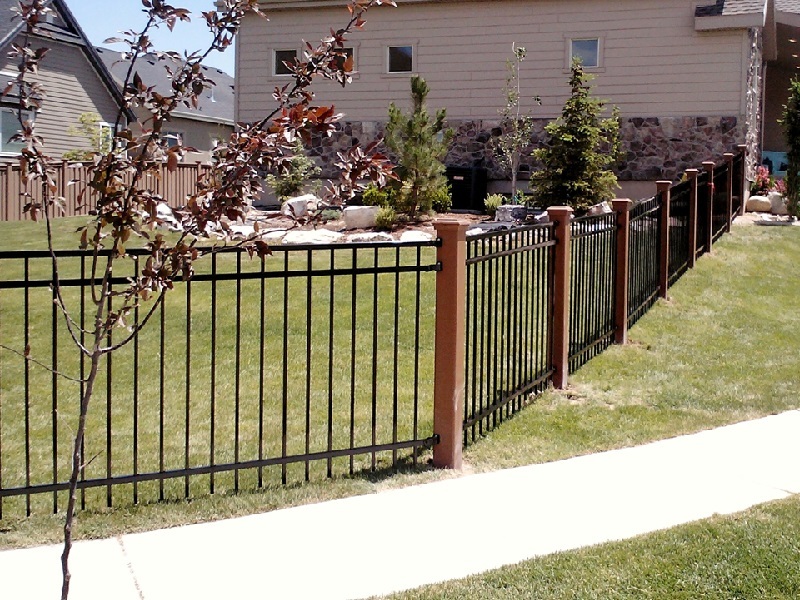 We spoke about the benefits of Trex® fence posts in a previous entry. 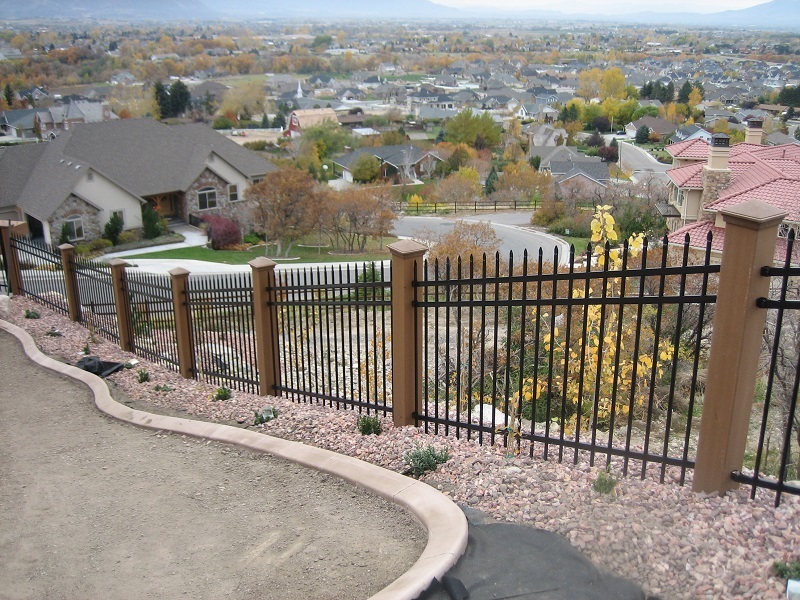 This time, we’re talking about using Trex posts creatively with other materials besides the Seclusions rails and pickets. 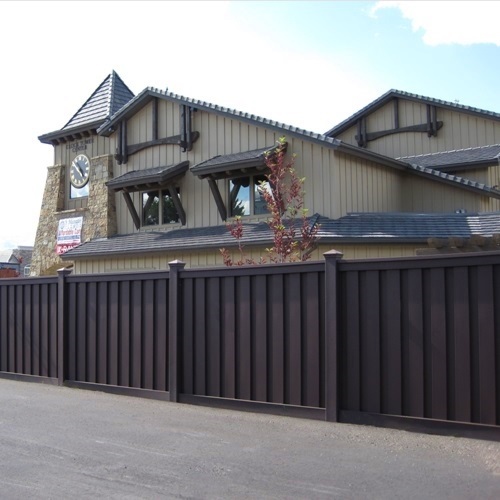 Since Trex posts don’t need to be used explicitly with the rest of Trex fencing, there are several different ways they can be applied … alternatives to wood posts in combination with wood pickets and rails, colonnade beams, landscaping timbers, railing posts for decks and patios, etc. 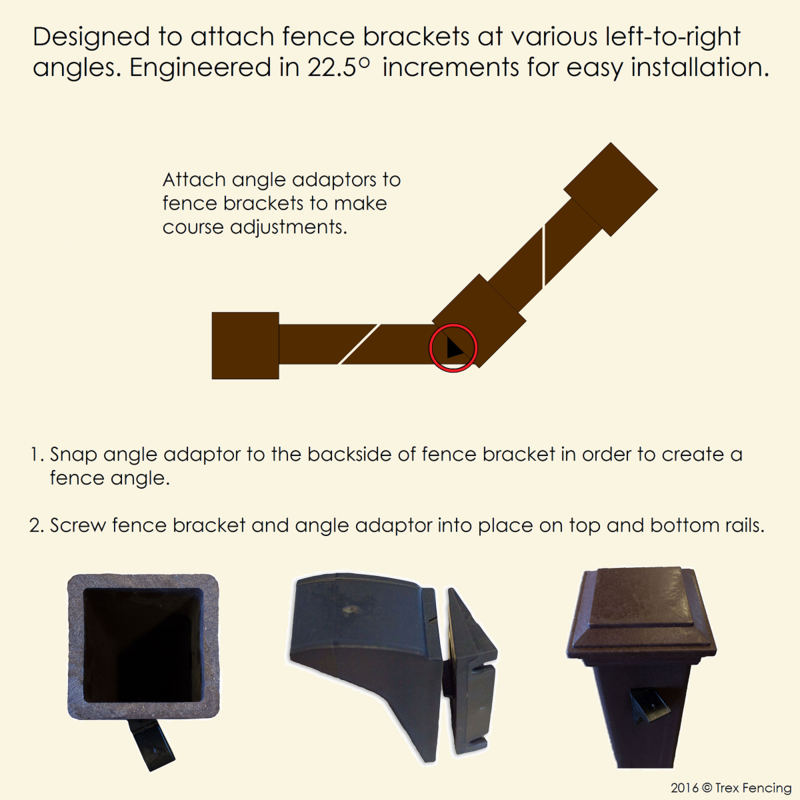 Our blog post today describes one of the most popular ideas. 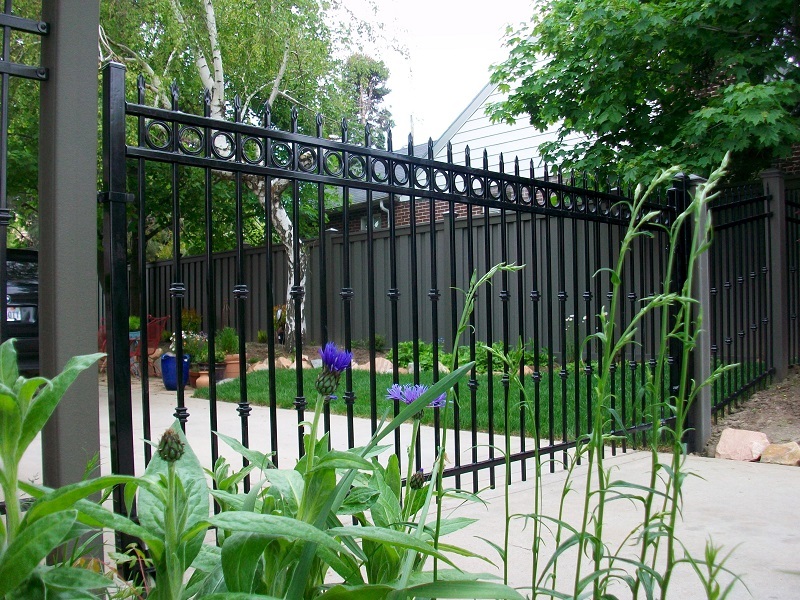 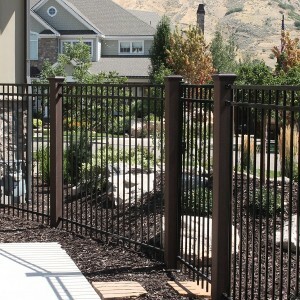 Get creative with ornamental fencing! 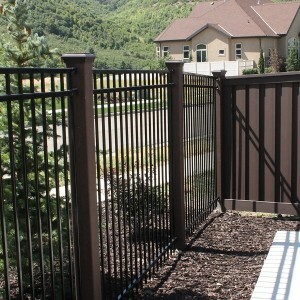 Of course, the Trex post is the standard support for the Seclusions fence. 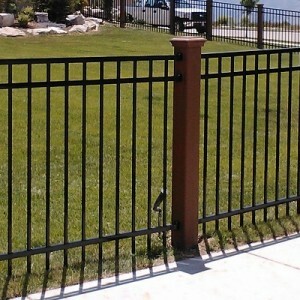 However, because it isn’t routed or grooved it has become popular to use it in conjunction with other materials. 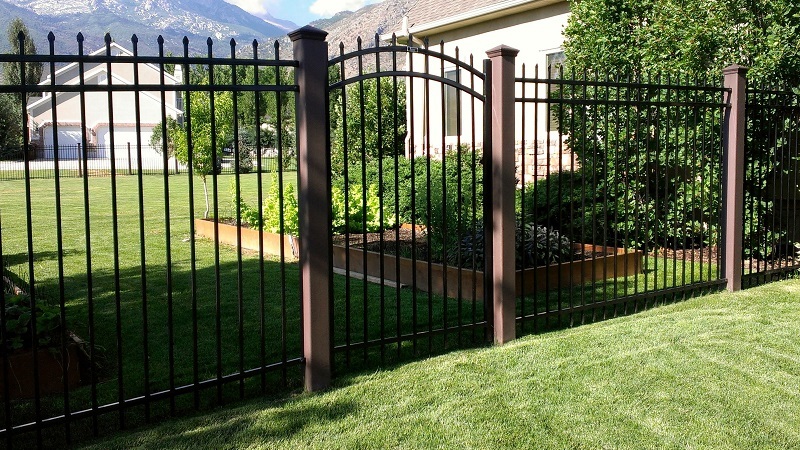 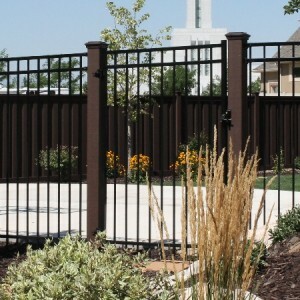 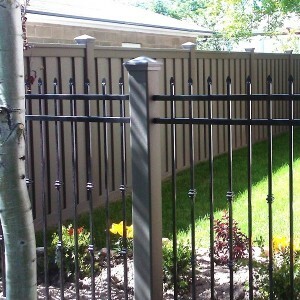 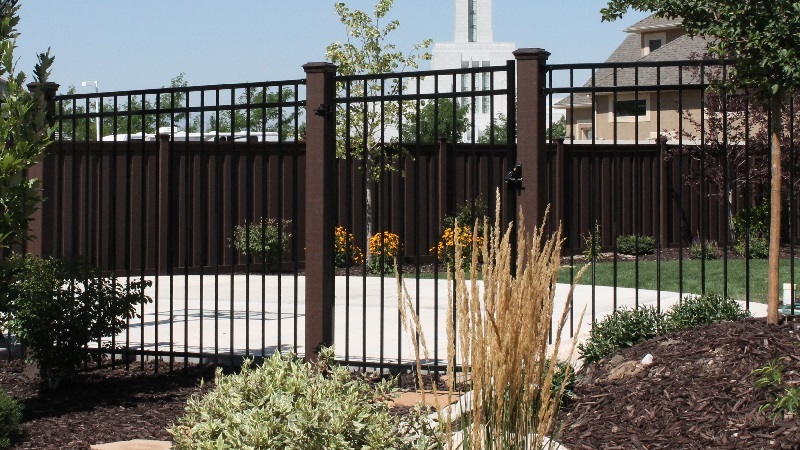 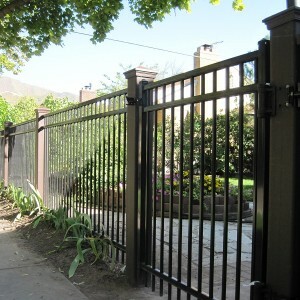 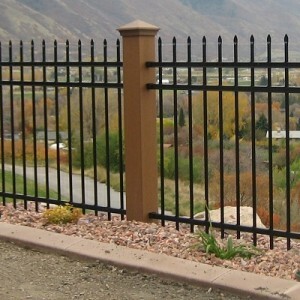 The most common configuration is to use the Trex post for ornamental fences. 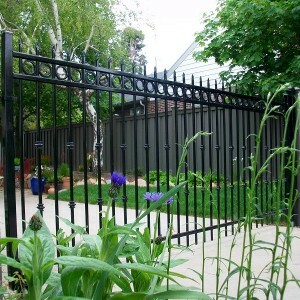 It gives an ornamental design the striking appearance of a more stately fence. 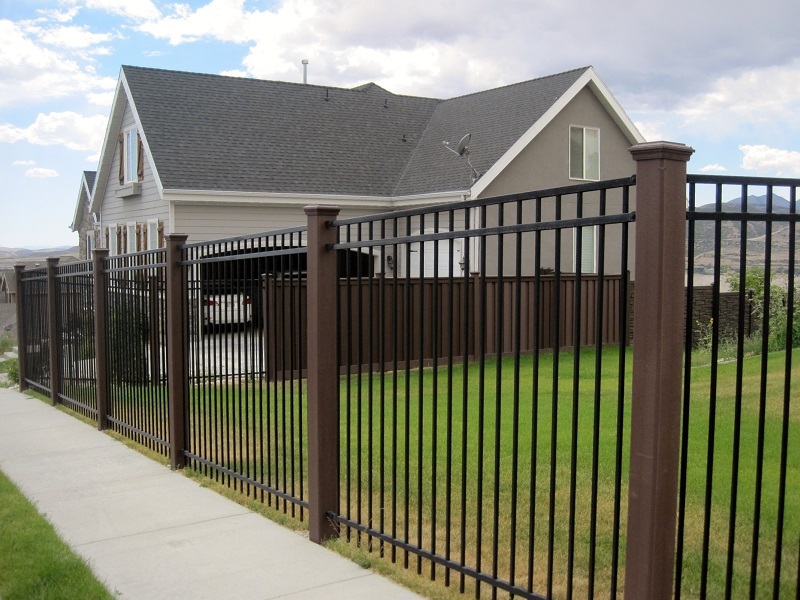 It is also particularly attractive when a portion of a fence line is created with a full Trex Seclusions fence and with the remainder in ornamental such as iron or aluminum, creating the statement that these two fences compliment each other. 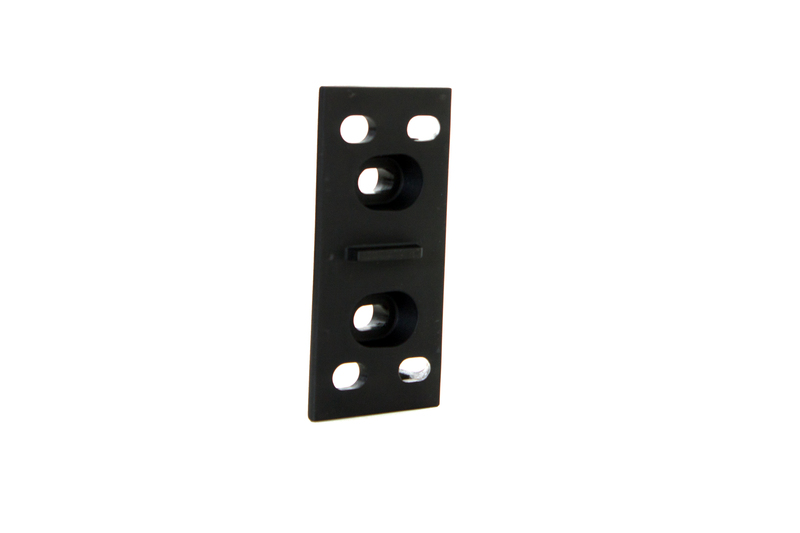 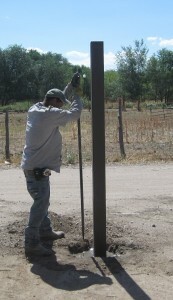 Attaching the metal panels is often as easy as placing flat-mount brackets against the face of the Trex post.  It isn’t just looks that makes a Trex post an excellent alternative. 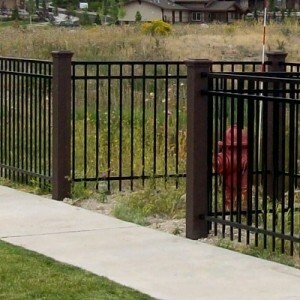 The beefy 5″ x 5″ composite post is stronger and longer-lasting than 2″ x 2″ or 2.5″ x 2.5″ metal posts used with ornamental panels. 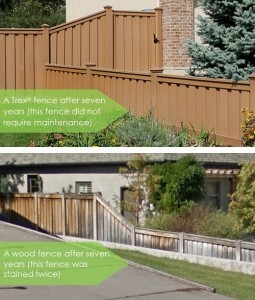 Trex won’t rot or rust, and does not need to be painted or stained. 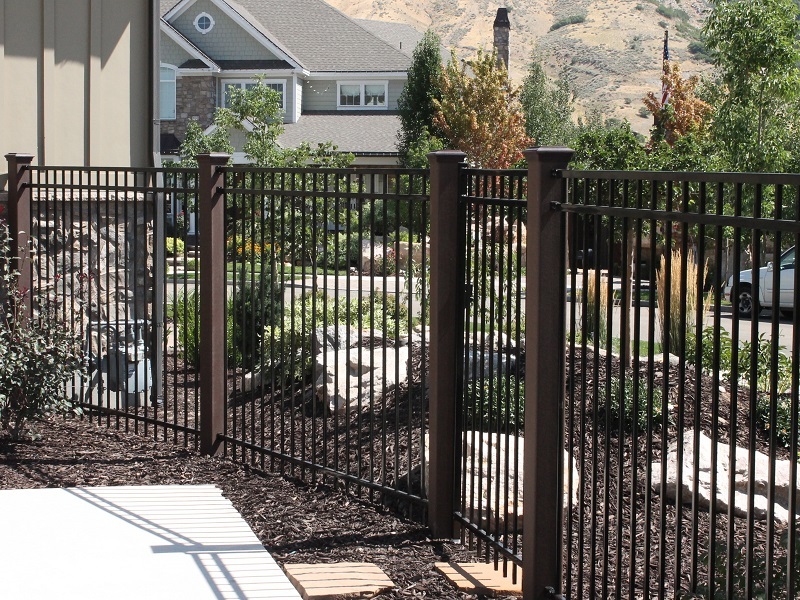 Here is an additional set of pictures that showcase the beautiful look of Trex posts combined with ornamental panels and gates. 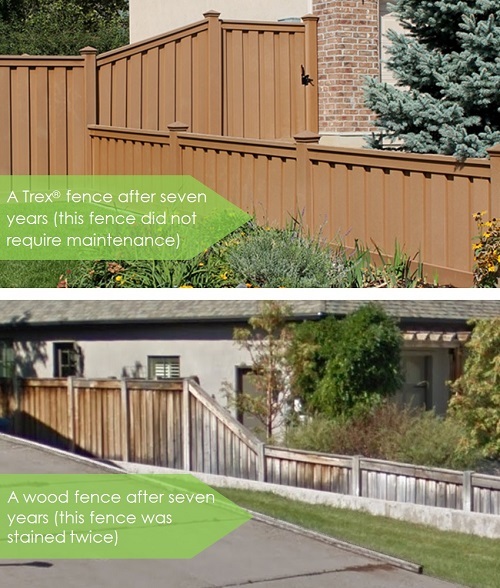 Wood fencing degrades over time even with painting or staining. 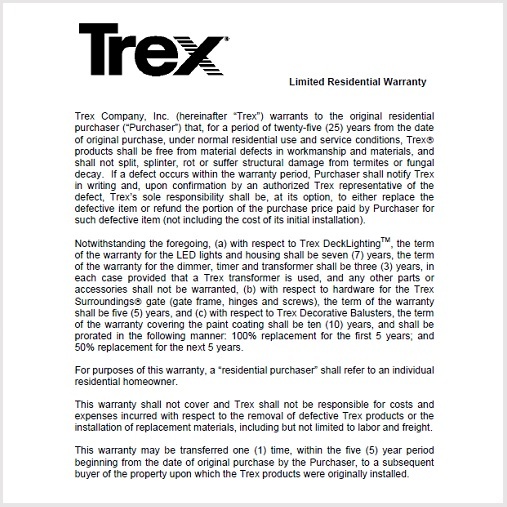 Trex requires much less maintenance throughout its life. Traditionally, wood has been the product of choice for privacy fence building. 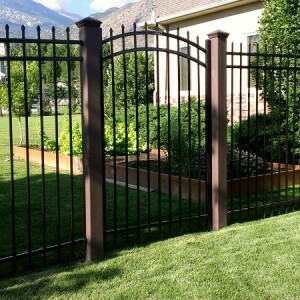 It is readily available, generally affordable, and has natural appeal. 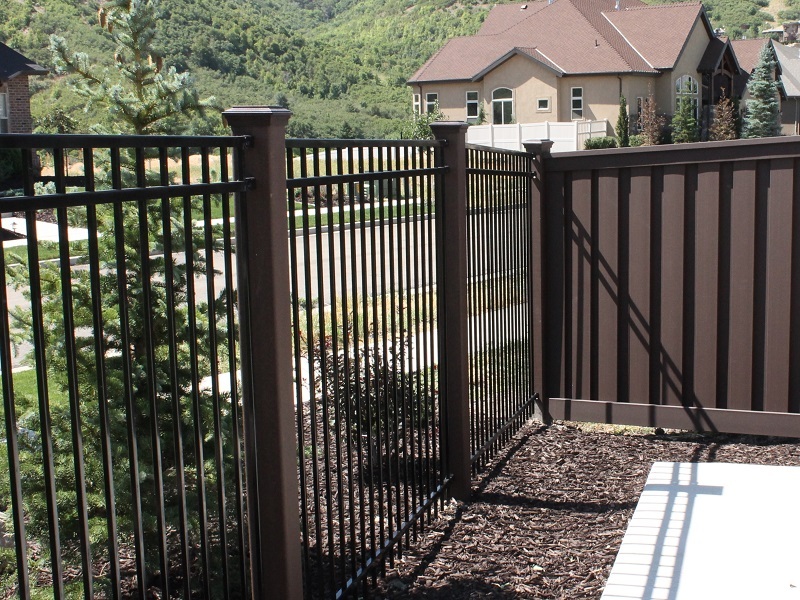 Wood fencing is also versatile, offering various design options and comes in a variety of species such as cedar, redwood, and pine (treated). 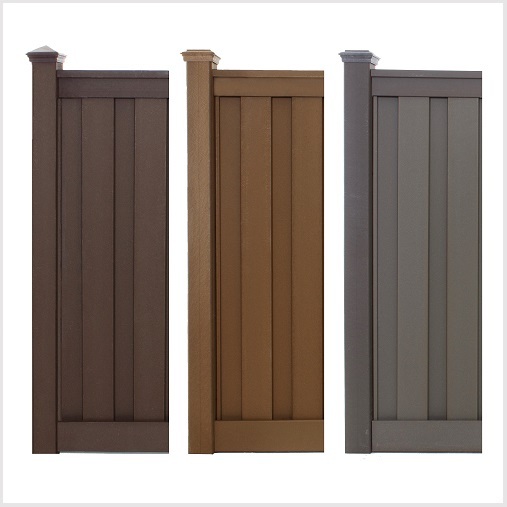 Other localized varieties include spruce, fir, and even the occasional hardwood. 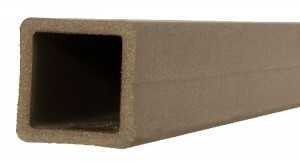 While it has its advantages, wood also has its limitations. 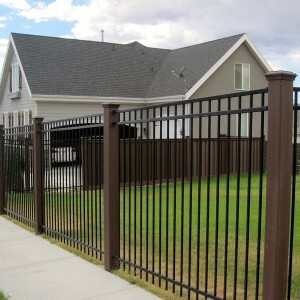 The most problematic issue is maintenance. 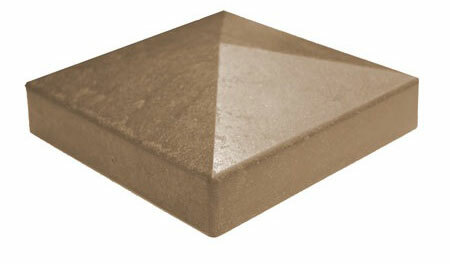 The elements (temperature, moisture, sunlight, wind, etc.) 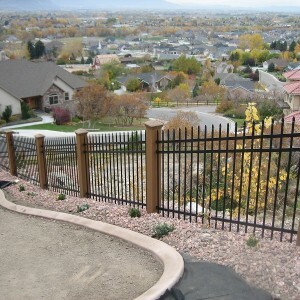 affect all products, but wood is quite susceptible to damage. 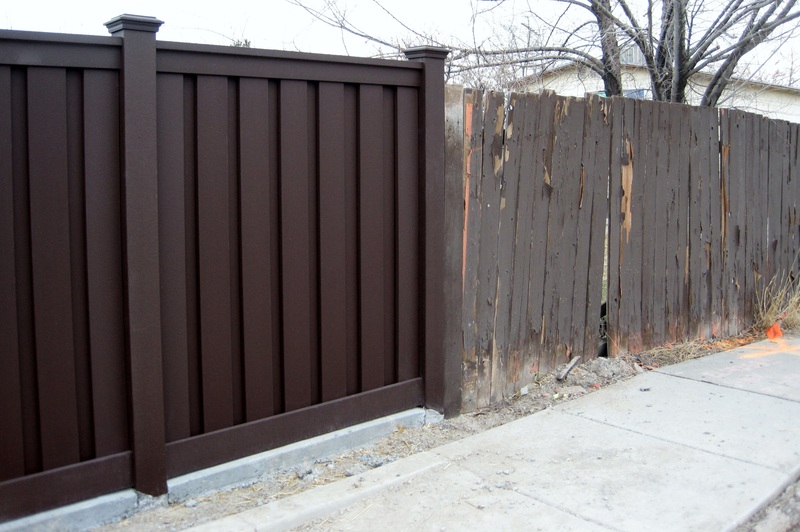 Wood fencing is also prone to termites and other insect damage. 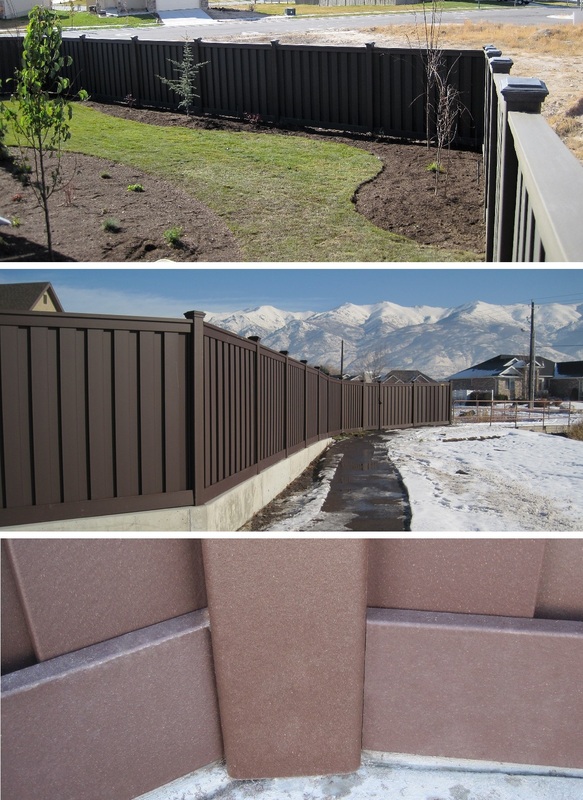 Relatively speaking, wood takes a while to degrade, but it inevitably succumbs to the environment around it. 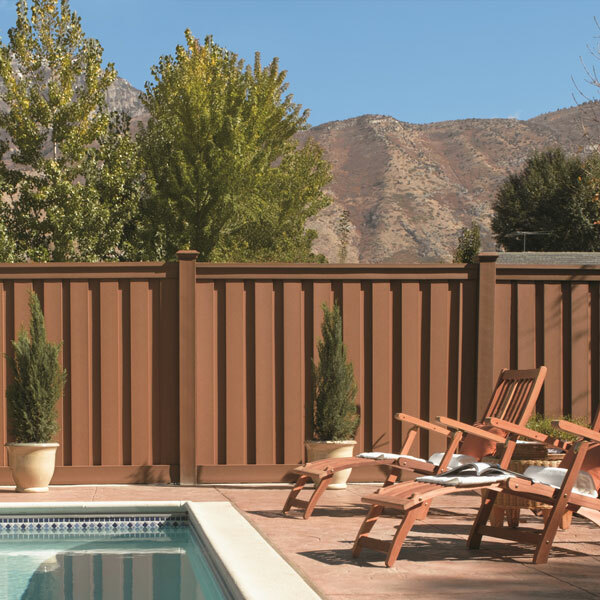 Because of the limitations of wood, consumers are turning more and more to alternatives. 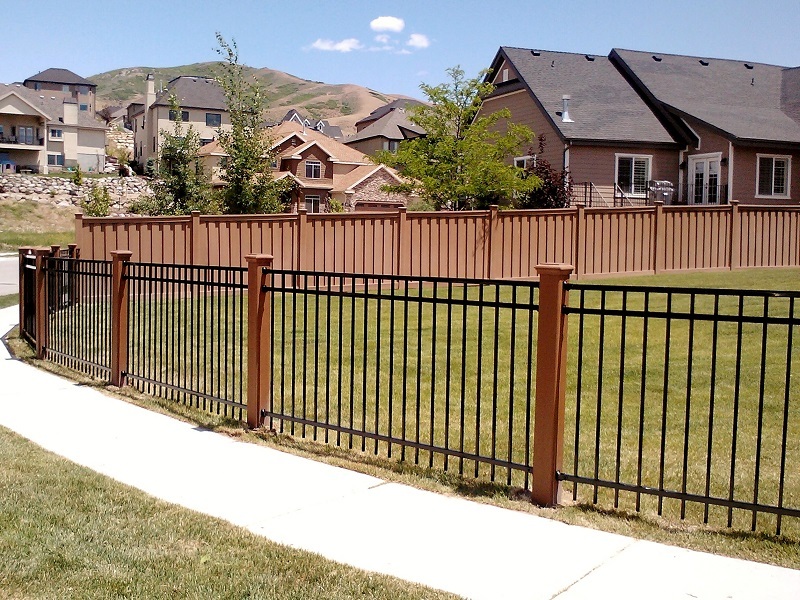 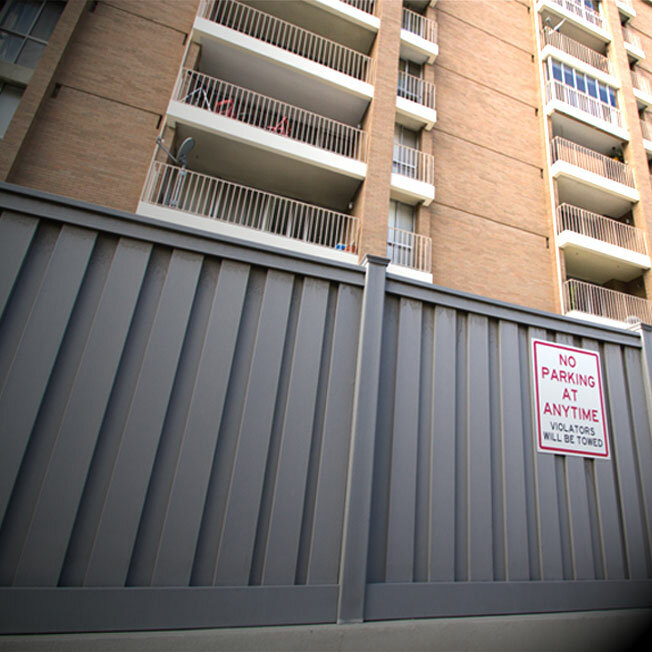 Nothing lasts forever, but wood fencing, particularly that cut from newer growth materials, tends to degrade more quickly than alternatives such as PVC vinyl and composite fencing. 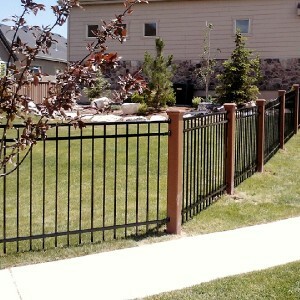 Even treated pine or fir can fail more quickly than manufactured materials. 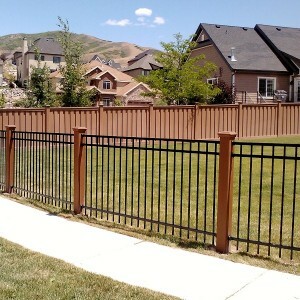 The longevity of a wood fence can be extended by maintenance. 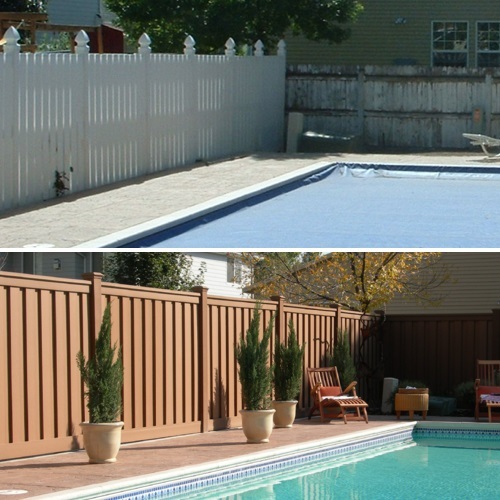 Usually, that means regular stripping and staining every two to three years, and periodic replacement of insect or rot damaged materials. 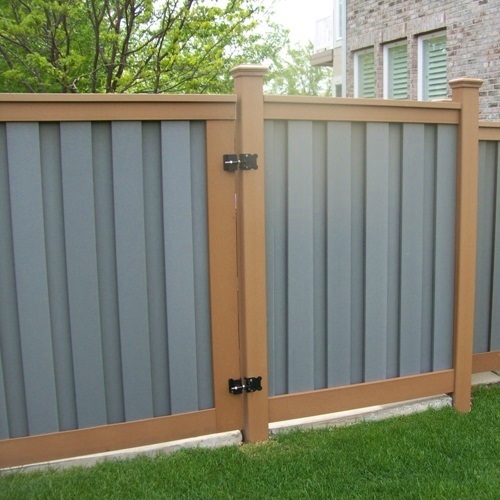 However, even though it may be inexpensive to install initially, over the course of its lifetime wood fencing can become quite pricey. 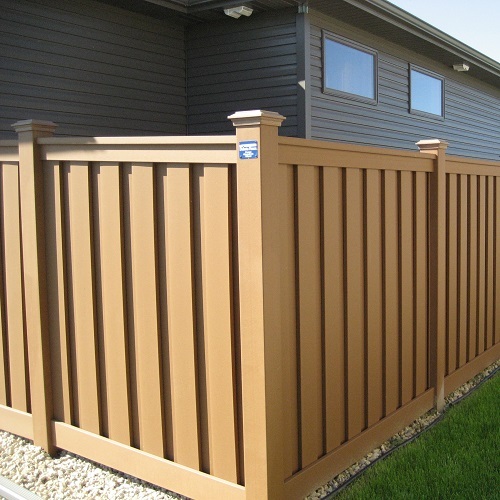 Manufactured items are developed as an alternative to wood in a variety of applications such as siding, decking, and fencing. 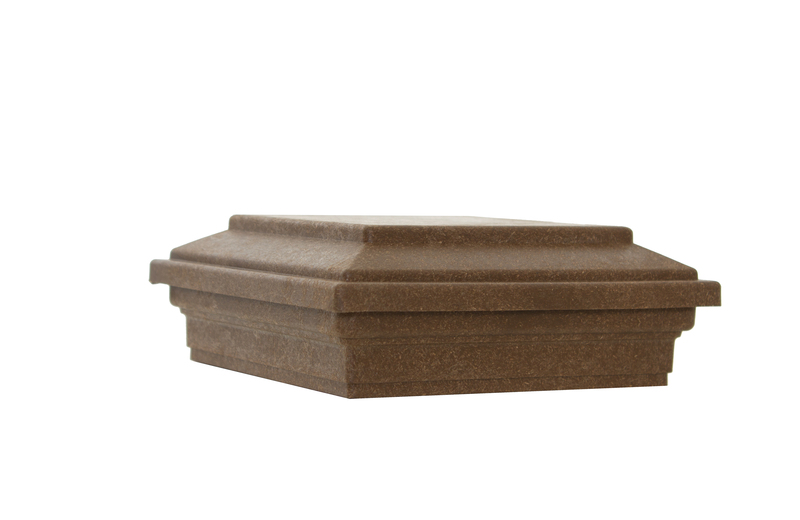 In particular, composite materials are a natural selection because they look the closest to wood and have other material advantages such as strength and durability. 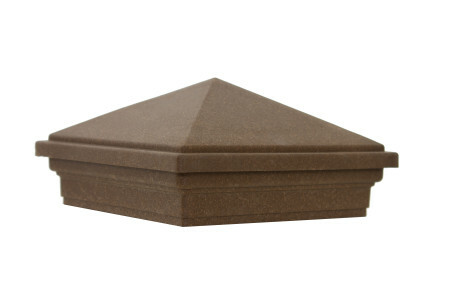 As I mentioned, nothing is immune to the effects of weathering. 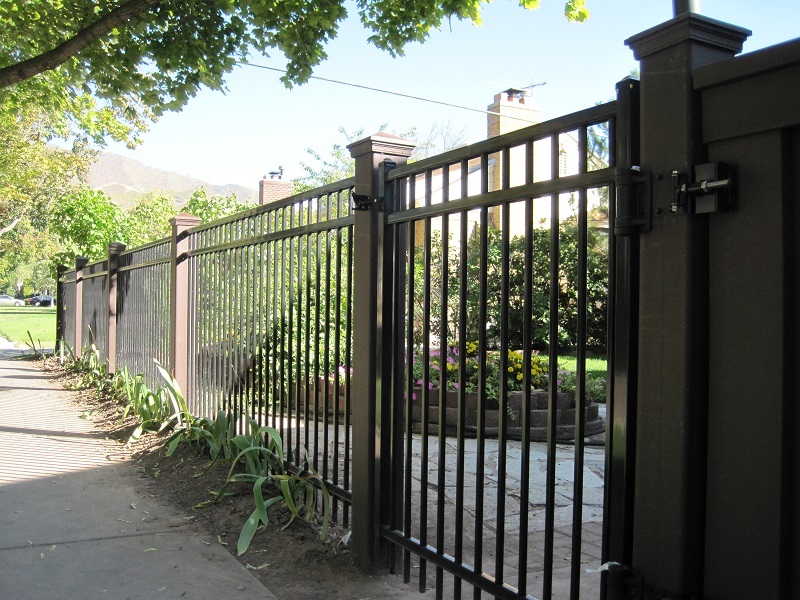 However, composite materials, particularly high caliber products like Trex, are manufactured for long-lasting performance with exceptionally low maintenance. 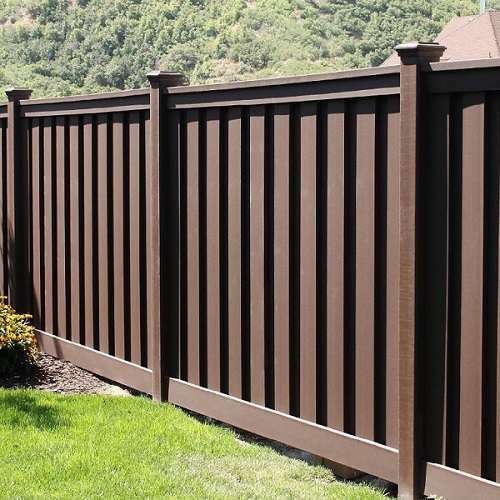 Typically, Trex is a more expensive material than wood, but after several stainings and some repair, wood will surpass the cost of Trex and continue to require the budgeting of maintenance dollars. 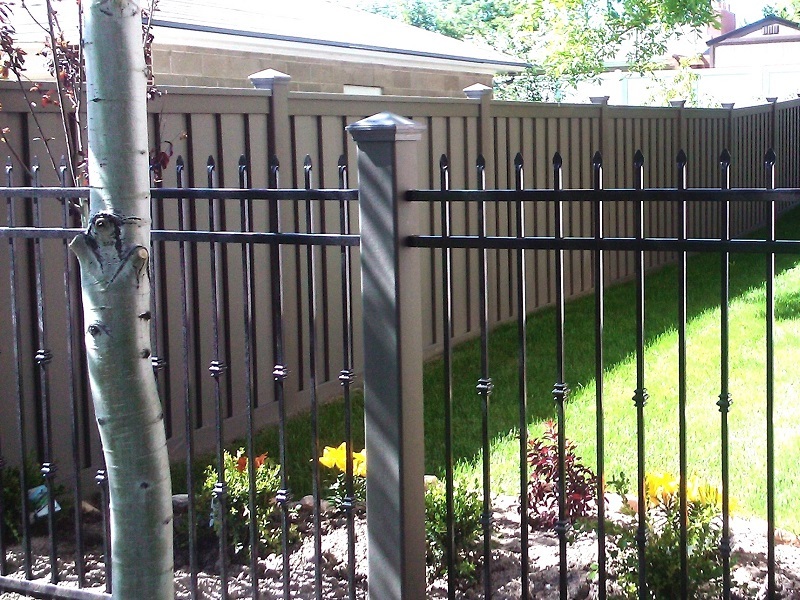 For consumers looking for the best alternative to wood privacy fencing, we offer Trex composite fencing. 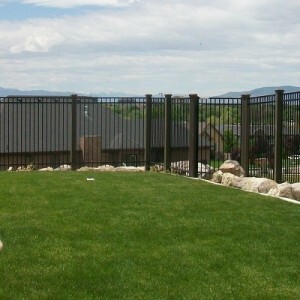 Please visit the rest of our site for more details on this uniquely superior alternative to wood fencing.